I have been polishing stones to use in my jewelry making and most recently my husband returned from a business trip in Brazil with a bag of raw red agate, amethyst, and green aventurine. 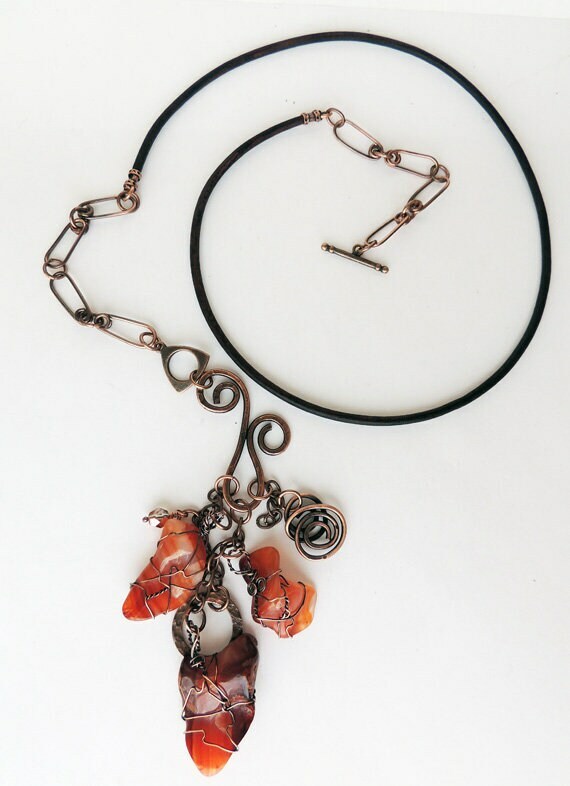 I have taken three of the red agate stones and wired them as part of a dangling pendant. I created a bail from which to hang them and added some hammered charms and a glass crystal. The overall drop of this pendant from top of bail to bottom of stones is approximately 4 inches. 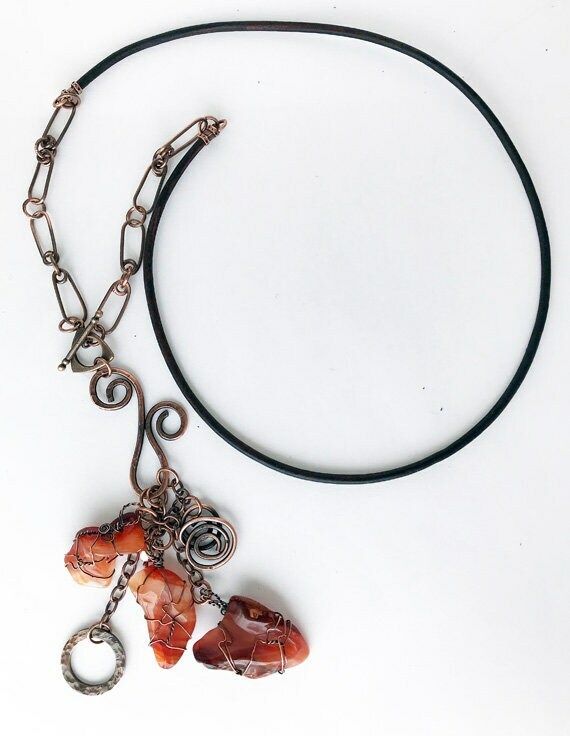 I then made handmade chain links from copper wire and added all of this to a piece of natural brown 3mm leather cord. 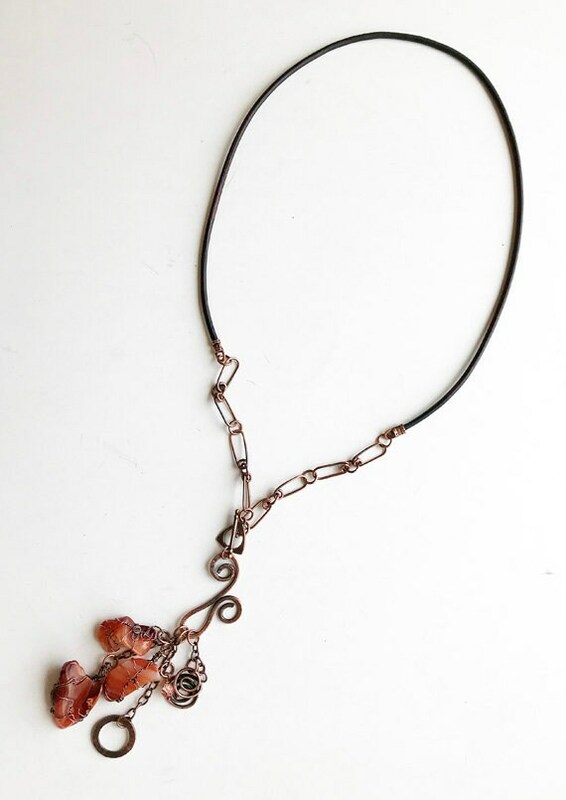 I have used a copper toggle clasp which hooks in the front to give this necklace a "Y" shape. The overall length of the necklace from the ends of the toggle clasp is 27 inches with the additional 4 inches of pendant.